A Photo Cell ( Planks Constant App ) Complete set with two meters, power supply & variable source with 3 filters. We are instrumental in manufacturing Automobile Engineering Lab Equipment for our clients. These lab equipment are portable in size and are highly convenient to use. For ease of handling, we have fitted high quality mechanical lab equipment and instruments in these automobile engineering lab equipment. - Best sensitivity and great resolution. Physitech Power Systems Private Limited manufactures complete range of FM & HM Lab equipment. 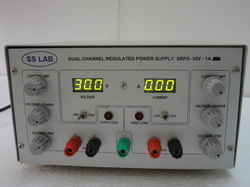 Provide 50Hz alternating current stimulus for producting minimal and super maximal seizures required in the assay anti-convulsion and epiteptic durgs complete with one pair corneal electrode 4, 6 or 8mm cups, and one pair of ear clips work on 220 A.C.
A premium inert HPLC Columns range delivering optimal peak shape. The Prote Col HPLC column range features proprietary column designs, incorporating inert materials throughout the flow path and the highest quality stationary phases. The combination of these factors delivers unparalleled separation performance.